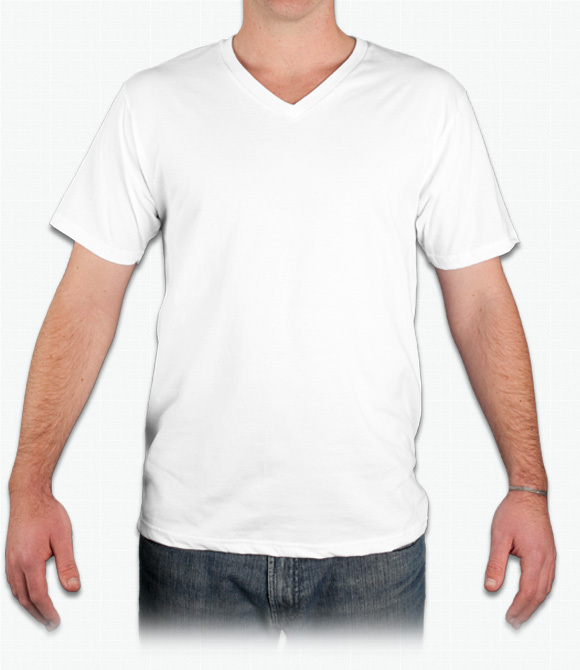 Fashionably cut v-neck made of soft, preshrunk cotton. "Super soft fabric, nice quality. Warning: on the V-necks, you have to place your image higher than on the round neck. " "I was really happy that you guys had a t shirt that is BOTH SOFT FABRIC AND V-NECK! Those are two qualities I look for in a t shirt." "The shirt quality and fit are better than I expected. I am very impressed with the value."